“EVERYTHING YOU SAY, I HEAR. EVERYTHING I HEAR, YOU DREAD”: Like a ringside announcer who knows the outcome of the fight before it commences, the voice taunts Sugar’s wandering mind and erratic attention. 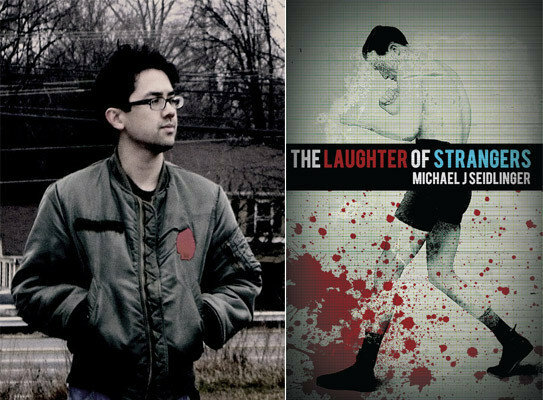 Seidlinger avoids the clinch of genre fiction that tells us boxing novels should be brooding and atmospheric tales. “The Laughter of Strangers” delivers a combination of psychological horror and strangeness that would not be out of place in a David Lynch film. Seidlinger’s weird new fight fiction suggests that perhaps the best place for boxing contests isn’t in the ring but between the pages of a book.